A solid container body has no seams and is thus completely water proof. The container is carefully protected from water ingress. 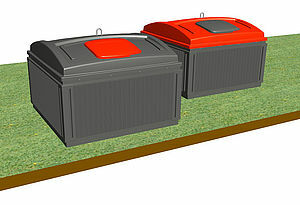 Container bodies are rotationally molded in one piece and have no seams. Molok containers of this type have 40% of the container body above the ground. 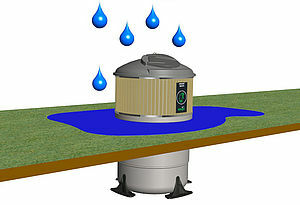 As a result, a flood of rain on the ground cannot enter the container. 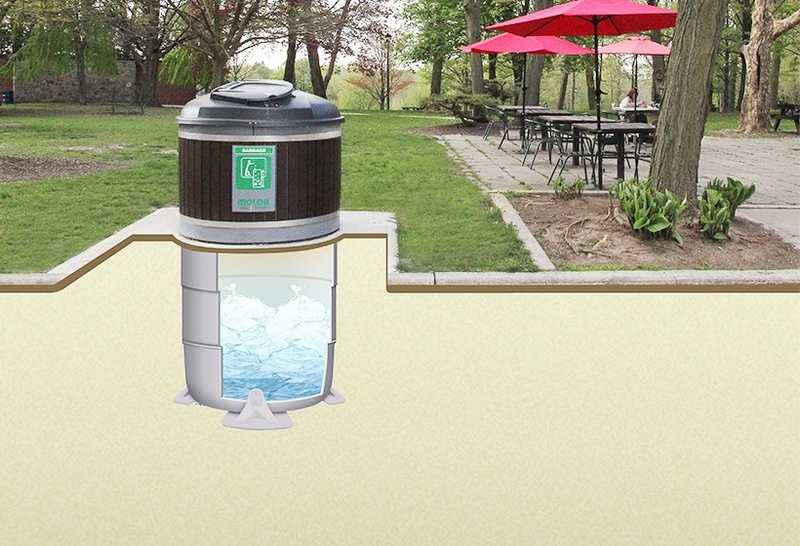 Container cover and filling lid provide rainwater protection. Because the structure is waterproof and the appearance attractive, no waste shed or roof is required. As well as reducing the initial investment, no waste shed reduces the need for maintenance. 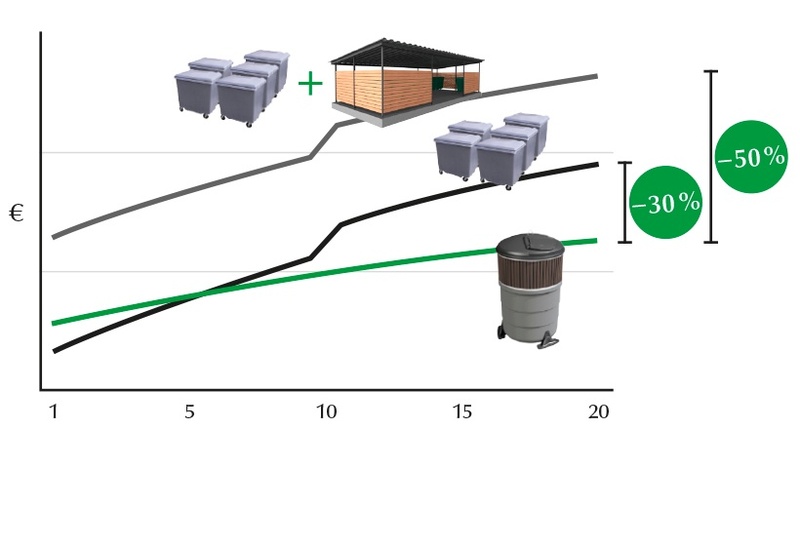 Over a 20-year time span, a comparison of the total cost of ownership between deep collection containers versus surface bins results in up to 50% savings with deep collection. 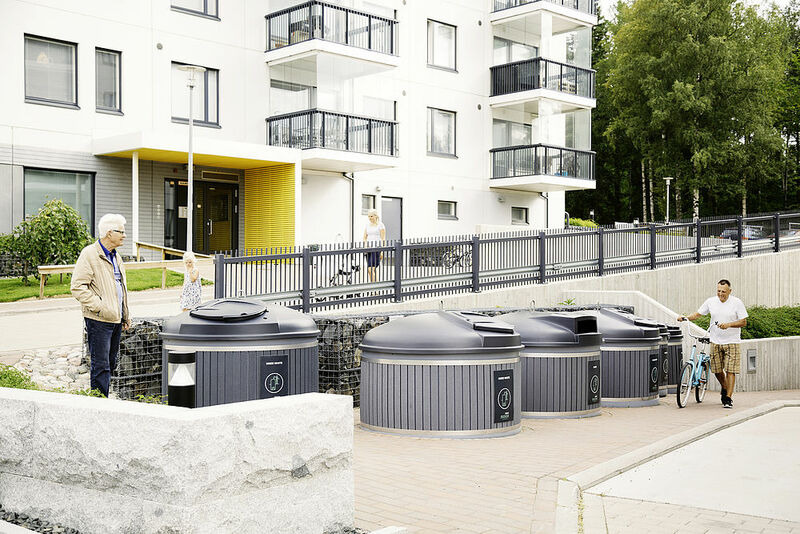 With no waste shed there is no chance of waste spillage hiding in the supporting structure, the waste collection area stays cleaner and neater. Both the main lid and filling lid can be locked. This prevents unauthorized access or dumping if they are positioned close to places of public access. The structures are designed to a last long time in daily use. Complex moving parts are minimized. For instance, mechanical folding safety barriers are not needed. This ensures a long and reliable life cycle. Maintenance and cleaning services for added convenience.